Retinal vein occlusion is when one of the tiny retinal veins becomes blocked by a blood clot. It usually leads to a painless decrease in vision in one eye. Risk factors include high blood pressure, high cholesterol levels, diabetes, smoking and glaucoma (raised pressure in the eye). Treatment includes treating any possible risk factors and also treating any complications of detachment. When you look at an object, light from the object passes through the cornea of your eye, then the lens, and then it hits the retina at the back of your eye. The cornea and the lens both help to focus the light on to your retina. Nerve messages pass from the seeing cells (rods and cones) in your retina, down nerve fibres in your optic nerve to your brain. The messages are interpreted by your brain, which enables you to see. If the retina is damaged, a clear picture cannot be produced. The macula is a small but vital area of the retina at the back of your eye. It is about 5 mm in diameter. The very centre of the macula is called the fovea. The macula is the part of the retina that is the most densely packed with seeing cells. The macula is responsible for your central (focused) vision. The rest of the retina is responsible for your peripheral (side) vision. What Is Retinal Vein Occlusion & What Causes It? Retinal vein occlusion is when one of the tiny retinal veins becomes blocked by a blood clot. This means that blood cannot drain away from the retina as easily and there is a backlog of blood in the blood vessels of the retina. This can lead to a build-up of pressure in the blood vessels. As a result, fluid and blood start to leak from the blood vessels, which can damage and cause swelling of the retina, affecting your eyesight. Central retinal vein occlusion – the blockage occurs in the main vein formed by the four retinal veins coming together. Branch retinal is two to three times more common than central retinal vein occlusion. How Common Is Retinal Vein Occlusion & Who Gets It? Retinal vein occlusion is a fairly common cause of loss of vision in the UK. It is most common in people over the age of 60 and it seems to affect both sexes equally. High blood pressure – between 6 and 7 in every 10 people with retinal vein occlusion have high blood pressure. If high blood pressure is not well-controlled, it can also increase your risk of having another episode of retinal vein occlusion (either in the same eye or the other eye). If you have retinal vein occlusion, you will usually notice a decrease in vision in one eye. Some people describe having a blind spot in one eye. The condition is mostly painless unless there are complications such as secondary glaucoma caused by new blood vessels interfering with the drainage of fluid from inside the eye. Depending on the severity and also the degree of involvement of the macula, occlusions may cause only mild visual loss in some cases or very profound visual loss in others. Some people who only have a small blockage of a branch retinal vein may not have any symptoms. Retinal vein occlusion is usually diagnosed after an eye specialist (called an ophthalmologist) examines the back of your eye, using an ophthalmoscope (a hand-held instrument with a light and magnifier). They may also use a larger special light and magnifier (which you sit at and put your chin on) called a slit lamp. The retina at the back of your eye has a typical appearance in retinal vein occlusion. 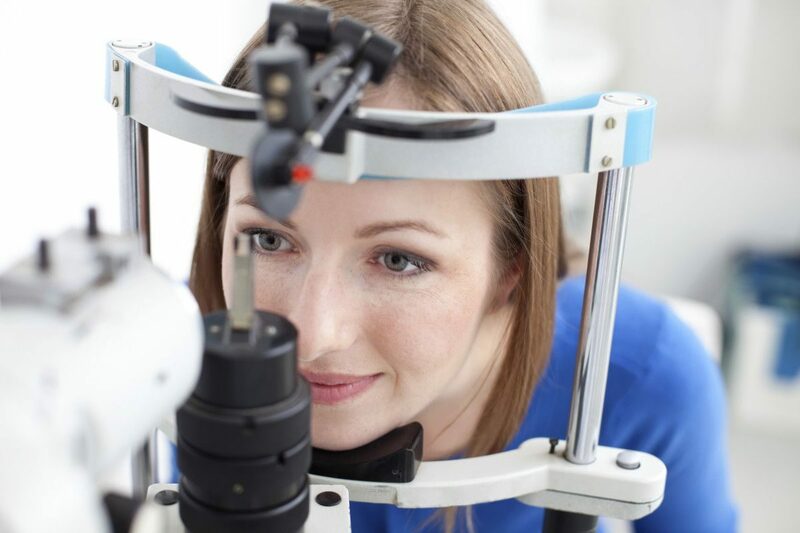 Depending on the appearance of your retina, the specialist will usually be able to tell if you have a central or a branch retinal vein occlusion. Various other tests may be suggested including measurement of your visual acuity (how well you can see) and your visual fields (to look at how good your side vision is). Some blood tests may also be suggested – for example, to check your blood sugar and cholesterol levels. Your blood pressure may also be checked. There is a lot of research looking into the best way to treat retinal vein occlusion. Various new treatments are being researched. For example, steroid injections into the eye (the damaged retina becomes inflamed and steroids may help to reduce inflammation). A chemical called vascular endothelial growth factor (VEGF) is released by the damaged retina. Research into anti-VEGF drugs is also taking place. You should discuss the latest possible treatments fully with your specialist. Following a retinal vein occlusion you are likely to be left with some visual loss. The extent of the visual loss can vary greatly, depending on the severity and exact site of the occlusion. Early diagnosis and treatment, and any possible complications may make a difference to the eventual level of visual loss. However, severe vein occlusions can cause permanent visual loss, even if treated very early. The condition will recur in about 1 in 6 people (either in the same eye or in the other eye) over the five years following on from it. For the next available appointment you can contact us by emailing londoneyeunit@hje.org.uk or by calling our team on 020 7078 3848.